Blockchain technology is probably one of the finest technologies to come out of the 21st century. 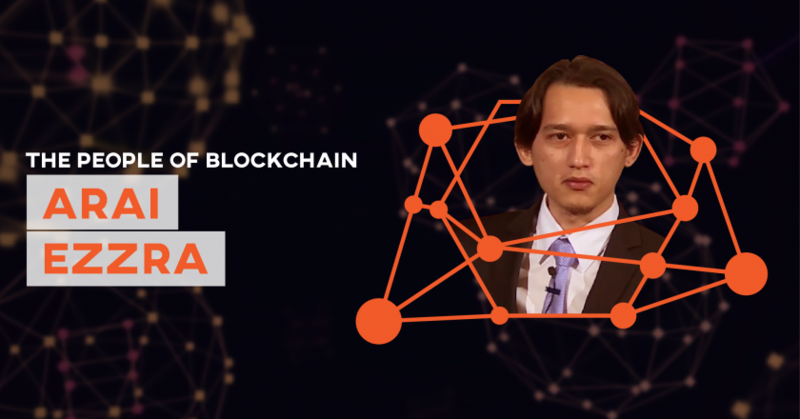 Described by Satoshi Nakamoto in 2008, blockchain technology is simply a decentralized public ledger that runs on a P2P network. The ledger is updated regularly and can be used to record any kind of transactions. It came into prominence when it powered Bitcoin, the most popular and oldest cryptocurrency on the planet. The two were considered to be one back then. However, it soon emerged that cryptocurrencies and blockchain technology were two different entities. In fact, cryptocurrencies were only an area of application of the blockchain technology. Blockchain is a stand-alone technology with so many applications. It can be used in finance, manufacturing, supply chains, and even by the government. Unfortunately, it hasn’t been welcomed with open arms by many, though it is starting to have a foothold. Cryptocurrencies have been denounced by several governments due to a number of reasons. Bitcoin has been banned in some countries, including Bolivia, Nepal, Bangladesh, and Kyrgyzstan, among others. Some countries have in the past made it clear that they will not accept Bitcoin but will accept blockchain technology. Some governments argue that Bitcoin is not a legal currency and should not be used as such. Some of the same governments have no problem with blockchain technology because it does not pose a threat to their financial systems. This has been dismissed by many people as government’s fear for the emerging digital currencies. China recently blocked all services that have anything to do with cryptocurrencies because the government wanted to “prevent a financial risk.” The government has gone on to ban ICOs because it accuses them of beings scams and pyramid schemes. This is true to some degree. There is a huge number of ICOs that were scams from the beginning. Many ICOs were launched with the best intentions but failed along the way. Others, however, have been legitimate and have succeeded. On the flip side, blockchain technology has been accepted kindly by several governments. Even the governments that have banned cryptocurrencies have admitted that blockchain has a future. 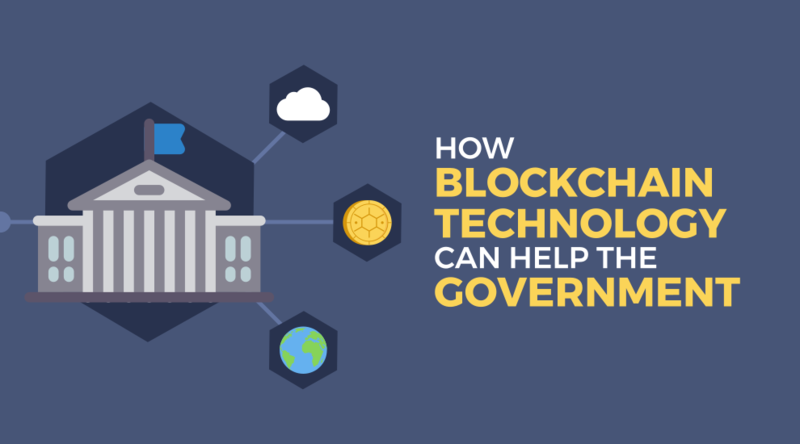 There are many ways that governments can utilize blockchain technology to their advantage. Dubai has launched a blockchain network to trace food and improve on food safety. Blockchain will soon become an integral part of the food industry due to its efficiency. It is used to increase transparency in food supply chains. As an example of the importance of blockchain in food supply chain management, let’s consider Walmart. Walmart used a traceback test to locate the farm where mangoes in its stores originated from. It took more than 6 days to achieve. However, the same task took only 2.2 seconds when it was done on a pilot blockchain network. Estonia, one of the countries that have covered a lot of ground in terms of adopting blockchain technology, will be using the technology for identity management and e-voting. E-residents of Estonia are given a digital ID that they can use whenever they want to make use of public services. The digital IDs are secured using cryptography and are hosted on a blockchain network. Moreover, the country is using the new disruptive technology to digitize its healthcare records. This step will greatly curb fraud in the medical fraternity. Singapore’s central bank, The Monetary Authority of Singapore (MAS), piloted a project to facilitate interbank payments using blockchain technology. The aim of the exercise was to increase transparency and reduce financial transaction times. Some governments have gone on to create national cryptocurrencies. Venezuela, a country whose people are starving & suffering from the effects of Socialism, is the most recent country to do this, as a way to get around economic sanctions. They created an oil-backed digital currency known as the Petro. The token can be used to pay for fuel, online tickets, and taxes. Tunisia and Ecuador are two other countries that have previously issued cryptocurrencies. Other countries also have plans to issue their own cryptocurrencies. Some of these countries include Japan, Estonia (the first to propose such an idea), and Russia. Other countries are watching on and the success of these digital currencies may determine if they will follow suit or not. The Swedish government tested blockchain technology in the registration and recording of land and properties. The motive behind this is to minimize transaction costs while enhancing the security of certificates, as blockchain technology is much more resistant to computer hacks. Brazil is also planning to do the same thing as Sweden. China, for all its aggressive positions on cryptocurrencies, made a public statement that it was going to adopt blockchain technology in social taxation. South Korea’s Customs Services have used blockchain technology for supply chain management in the shipping, freight forwarding, and customs industry. The Indian government will probably benefit a lot from using blockchain technology in real estate. It is estimated that India’s fraud in real estate through bribes is as high as $700 million. The use of blockchain technology will reduce the fraud, improve transparency, and bring trust back to the industry. The State of Delaware in America recently piloted a blockchain network to record corporate registrations and to monitor how shares are issued. Several other states and departments in the U.S. have previously tested blockchain applications. 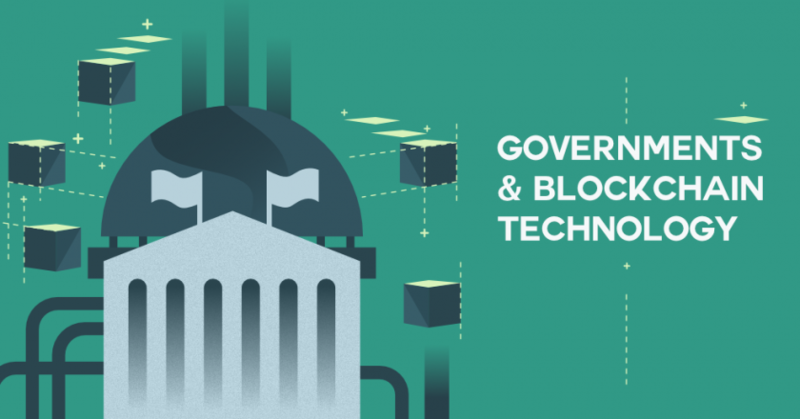 The adoption of blockchain technology by governments will usher in a new era of transparency and efficiency. One way that governments can do this is by applying the technology in the management of citizens’ identities. This will create records that are available for the public. Governments can also use blockchain technology for record keeping. This ultimately removes the need for third parties. This will allow the governments to save money and channel it towards other developmental issues. Here at DinarDirham, we realize governments’ concerns with blockchain technology, and particularly with cryptocurrencies, which is exactly why we’ve opted to be transparent and compliant with our digital gold related products, which we believe could be to the benefit of both citizens and governments alike.